The key to a great mobile mechanic service is not only industry leading service work but also convenience. We take the fuss and hassle out of getting your car repaired or trying to keep up with its regular service history by providing vehicle owners the flexibility of choosing the time and place of their vehicle work. Around your local region Lubemobile mechanics have typically attended to Toyota, Holden and Ford. Prepared and experienced to take on all vehicle types, recent services around you have been typically Mazda, Ford and Kia. Parts needed are always of the highest quality and are sourced fast for efficient repairs carried out on time. Mechanics have access to parts and spares like sway bar, starter fuse and brakes on site. Stuart went above and beyond to help me with an auto electrical problem in Christmas week. I've been telling everyone how fabulous he was and how pleased I was with lube mobile. 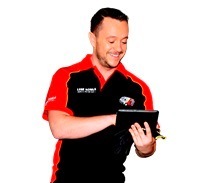 Whether you drive Jeep or Holden, our mobile professionals arrive on time and with everything they need to service your vehicle to the very highest professional standards. Our customers enjoy industry leading service standards from friendly mechanics who explain as they go which ensures that you understand what your vehicle needs and how we’re keeping it in top condition. In the last three months our 38 local mechanics been given over 49 positive reviews from our clients in Brisbane Metro. 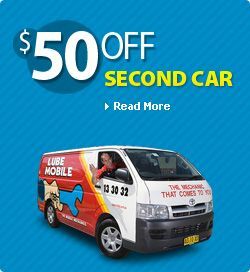 Lubemobile mechanics are available wherever you are like in Brisbane. We attend to your vehicle wherever it is which includes anywhere from South Brisbane, Banyo and Eatons Hill, and anywhere in between. We are Australia’s #1 mobile mechanic fleet attending to you when you need us. You can get your car serviced on holiday. Have the tyres replaced or rotated at work. Our mechanics have serviced over 2,139 vehicles in your area over the past 3 months alone. Have a Log book servicing completed entirely on site at your home address. Or our mechanic specialists can travel fully equipped to wherever you specify to carry out work including alternator inspection and replacement and cleaning fuel injectors.